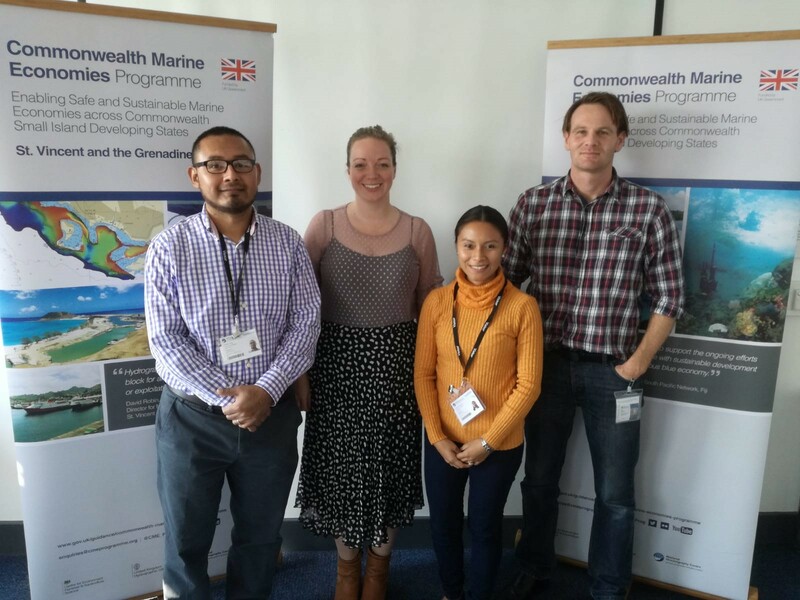 This training forms part of the Commonwealth Marine Economies (CME) Programme, which aims to help Commonwealth Small Island Developing States make the most of their natural maritime advantages, to enable sustainable economic growth and alleviate poverty. Some of the intended outcomes of this training include supporting Dr Joaquin Urbina and Ms Esthersita Hernandez from the National University of Belize, as they investigate the impact of land management on water quality in the Belize River watershed. Hosted by the UK’s National Oceanography Centre (NOC) and the UK’s Centre for Ecology and Hydrology (CEH), this intensive programme involved laboratory-based training around ocean acidification, water quality, and microplastics, as well as training in land cover mapping and statistical programming. When asked about their Fellowship experience, Dr Urbina said “This is a powerful relationship for Belize’s National University. The training I received in state of the art instrumentation and research skills will allow me to better inform policy at the highest level in Belize, and strengthen the research capacity of the nation”. Ms Hernandez commented “Working with the CEH and NOC teams has not only allowed me to see the scientific process come to life, but has also provided essential laboratory instrumentation to execute my thesis project, and advance further research at UB [The University of Belize]. A partnership such as this between the University of Belize and NOC/CEH is a powerful and necessary one for Belize, a young nation in the research field at a time when research is desperately needed for improving policymaking concerning our natural resources”.